Now: the last day of the year. What a good time to mention some items that didn’t make it in! We lost Stephen Birmingham, the non-Jew who chronicled our varied culture in three best-selling books: Our Crowd: The Great Jewish Families of New York; The Grandees: America’s Sephardic Elite; and, lastly, The Rest of Us: The Rise of America’s Eastern European Jews. Old stuff, but still worth a read today. Poland finally publicly honored 50 elderly Christians who saved Jews in their country during the Holocaust. Among them, 100-year-old Janusz Durko, rescuer of 20. A representative of the Jewish Foundation for the Righteous, which sends monthly support to these long-forgotten heroes, came to Warsaw from the U.S. to honor them. And a week ago in New York, the Institute for World Jewish Studies similarly honored — posthumously — King Mohammed V of Morocco, for protecting its quarter-million Jews from Nazi persecution during the 1940s. My favorite columnist, Paul Greenberg, hit age 78 and decided to step down from his position as editorial page editor of the Arkansas Democrat-Gazette after 23 years. But the good news is that he’ll keep right on writing his Pulitzer Prize-winning opinions. Meet a rabbi different from all others: Gershom Sizomu, the first black from sub-Saharan Africa to be ordained in the U.S., leads the Abayudaya congregation of 2,000 in Uganda. He plans to run for a seat in his government’s parliament next year. Consider these identical twins, separated at birth in Trinidad, 1933: Jack Yufe, raised there as a Jew; brother Oscar Stohr, reared in Nazi Germany as a member of the Hitler Youth movement. The two didn’t meet until they were 21, and didn’t like each other much — because basically, they were so alike! Stohr died in 1997; Yofe passed away just last month. Legos and outsize EverBlocks made great menorahs this year. Locally lifting Legos high were Chabad of Arlington and Congregation Ahavath Sholom of Fort Worth. The big bricks rose up at Washington, D.C.’s Ohev Sholom. Here’s a new book on the market: The 613, the work of Brooklyn artist Archie Rand, a secular Jew who likes to paint big pictures on big themes. In 2008, after five years, he finished his series illustrating all the Torah’s commandments, without knowing when — or even if ever — this work would be displayed. Now while the huge originals still crowd his studio, a much smaller bound version of the whole collection was published early in November by Rider Press. The New York Times calls the mitzvoth “rendered in the style of comics and pulp fiction book jackets, a dash of MAD Magazine, a spoonful of Tales of the Crypt, some grotesques, some superheroes, always action, emotion, drama.” Sounds like a $45 coffee table conversation piece bargain! Another new book in a much more serious vein: The German War by Nicholas Stargardt. If there never was anything before to fully dispel the foul mouthings of Holocaust deniers and the fiction that Hitler’s citizenry knew nothing about what was going on in their country, here’s the evidence to do it: The author uses actual pictures from film that Nazi soldiers sent home for their families to develop. There comes a time in your life when you walk away from all the drama and the people who create it. You surround yourself with people who make you laugh. Forget the bad, and focus on the good. Love the people who treat your right; pray for the ones who don’t. Life is too short to be anything but happy. Falling down is part of life; getting back up is living. When parents say this it usually means “don’t forget the values with which we raised you.” Socially, it may imply that after you become rich and famous, don’t forget your humble beginnings. Or that people who helped you at the beginning of the journey should be appreciated, not forgotten. Either way, keeping in mind the origins keeps them honest and motivated. The same advice holds true in the journey of the Jewish people. Our customs are filled with reminders — “don’t forget where you came from.” The most notable takes place on the night of Pesach, a time devoted to recalling the Exodus story, pointing to our humble beginnings and ultimate deliverance. The Hebrew title of this week’s Torah portion is Shemot — names. The commentaries explain (Leviticus Rabbah 32:5) that the deliverance from Egypt occurred in the merit of four virtues. The first merit mentioned is that the children of Israel didn’t change their names. Hebrew names express messages. Two clear biblical examples are Joseph’s two sons, wherein the names of his sons relate his personal story. The oldest, Menashe, recalls his lonely struggle as a young Hebrew servant arriving in Egypt: “God has caused me to forget my toil and my father’s house.” It signals Joseph’s ability to survive in a foreign environment. The second son, Ephraim, is named because “God has made me fruitful in the land of my affliction.” The name signifies a higher achievement, a story not only of preservation, but of prosperity. The culmination occurs as Joseph reunites with his father and brothers and generously provides for them. The episode of the children of Israel seemingly reaches a high point. As Jacob nears his final days, he calls Joseph to him, along with Joseph’s sons Menashe and Ephraim. The purpose was to impart a blessing for future generations. Jacob blesses his descendants, saying that they should be known by the name Israel and the names of the patriarchs, and “may they multiply abundantly like fish …” There are many ways to connote having many children. Why fish? The Talmud explains that since fish are completely covered by water, they are protected from the gaze of “the evil eye.” A more profound explanation is that fish cannot be separated from water, their life-force. They are submerged in their source. With these words, Jacob provided not only a blessing, but also the recipe for how to receive it. The key to attaining blessings is humility. Humility comes from being conscious of the source for life’s blessings. The opposite symbolism is found in this week’s parashah, in reference to the Egyptian culture. Things have changed drastically for the children of Israel. After being enslaved, the cruel decree arrived: “Any boy who is born should be thrown into the river.” In addition to the literal meaning, this command to throw the Jewish children into the Nile can be understood metaphorically. The Jewish people had come from the Land of Israel, which yielded its bounty sparingly. Crops depend on the infrequent and unpredictable rainfall. In Egypt, the Nile consistently overflowed its banks, providing water for the irrigation for the fertile valley, the foundation of the Egyptian economy. The Nile was recognized as the source of the great prosperity of the land. For this reason, the river was worshipped by the Egyptians. The entire Exodus story would be orchestrated to undo that mentality of becoming too caught up in natural determinants. In fact, the foundation of the second of the Ten Commandments — the negation of idolatry — is the ability to draw a distinction between the prime creative source and instruments of nature. While the crudest form is worship of planetary systems or statues, modern-day applications of mistaking the intermediary for the source abound. Here, the softer and broader sense of “worshipping the Nile” is developing an inflated feeling of self-sufficiency, forgetting the source for all blessings. The remedy of “remember where you come from” is not only an instruction to remember your past; it’s an ongoing perspective to remain conscious of the source for existence and prosperity, and the key to receiving blessings. As we head into the New Year I must write about my favorite subject — values! Over the years, I have discussed, explored, shared, taught ways to get Jewish value thinking going for children and adults. I read this from one of my favorite sites — Tim Elmore, Growing Leaders. Stanford professor Kelly McGonigal writes in her book, The Upside of Stress: It turns out that writing about your values is one of the most effective psychological interventions ever studied. In the short term, writing about personal values makes people feel more powerful, in control, proud, and strong. It also makes them feel more loving, connected, and empathetic toward others. It increases pain tolerance, enhances self-control, and reduces unhelpful rumination after a stressful experience. Wow. Those are some tangible benefits to writing out our values. Values can be defined with simple words describing what you deeply believe. Values are words that explain what you live by or what you want to live by. Values describe who you are and are guidelines for your big decisions. Values are stronger than thoughts or opinions. They stir the heart. Values are ideals of you at your best. Values are the inner-based principles that will fuel the direction of your life. Include Those Values in Your Decisions: Next, post your values where you can see them every day. Memorize them. Whenever you have a significant decision to make—one that’s not black and white but perhaps a bit gray — consult those values. Do they guide you? Can you let them act as a consultant in the choices you make? Values are universal, yet Jewish values have a belief system and history behind them that make them continue to live throughout the ages. The Torah is filled with stories because through stories we learn (and remember) the most important lessons. When teaching adults and sharing a story from Torah, I hear so many embarrassed because they don’t remember (or possibly ever knew) the story. We learn the story of Abraham welcoming the three guests into his tent and telling him that he will have a child. The details in this story show us the value of “Hachnasat Orchim — Welcoming Guests.” Abraham went out of his way to be a gracious host, giving more than promised or expected. Today, we hear our mothers’ voices telling us to always offer our guests food and make sure there is plenty. Does it matter that this value came from Abraham? Yes, because it is in our blood! My challenge for the New Year: Define your values, live your values and take some time to study and learn where those values came from! Laura Seymour is director of Camping Services at the Aaron Family Jewish Community Center. Yizkor (Remember) Digital Book — Documenting the stories of Holocaust survivors in all of our communities. Stephanie Zavala, Mona Karten, Julie Berman, Kim Goldberg, Nancy Schechter Schwartz, and Marcy Paul were key to the success of the visit, making time to be with the group. Had a program with our Chaverim leadership group at the home of Suzie Kuptsin and attended a Hanukkah party with the larger Chaverim group. And they went out on the town with P2G committee members to visit the famous Billy Bob’s. On Thursday, Dec. 3, Walnut Hill Medical Center hosted Rachel Shmueli, CEO of Assuta Ashdod Hospital, (AAH) and Dr. Michal Guindy, head of imaging of Assuta Medical Centers in Israel. Throughout the years Israel has continuously developed and renovated existing centers, but the 300-bed facility in Ashdod will be the first brand-new public hospital to be built in Israel in 45 years. The hospital is set to open in May 2017, near the center of Israel. “We learned about Walnut Hill Medical Center while searching for new hospitals around the world that we could learn from. Surprisingly enough, very few hospitals have the opportunity to have a fresh start like us. Reading about WHMC, its mission, values and challenges, we felt we have a similar approach to deliver health care,” said Shmueli. “Walnut Hill Medical Center seems to have found new solutions to old problems. Dr. Michal Guindy and Rachel Shmueli spent the day speaking with Cory Countryman, CEO of Walnut Hill Medical Center, and Dr. Nick Karr, WHMC’s ER medical director, among many other physicians and staff members. Discussions centered on how WHMC was built, the culture and the opening of a brand-new hospital. 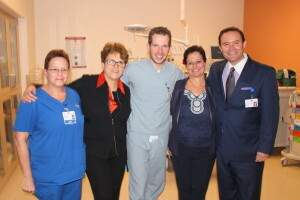 They toured the hospital with directors, taking note of WHMC’s cardiac, surgery and nursing floors, the radiology department and the nationally recognized Emergency Department. They also spent time with Keri White, VP of Human Resources, on recruiting and hiring the right staff members for a hospital focused on patient experience. The Dallas Holocaust Museum/Center for Education and Tolerance has received a $25,000 grant from the Dallas Mavericks Foundation to offset admission and transportation for approximately 3,300 Dallas Independent School District (DISD) students in the coming year. During their visit to the Museum, students will receive guided tours of the exhibits and watch video testimony of survivors in the Museum’s theater. In addition, when available, a local Holocaust survivor or refugee will speak to the students about his or her experiences. Established in October 1996, the Dallas Mavericks Foundation is a 501(c)(3) private foundation affiliated with the Dallas Mavericks professional basketball team. The Foundation is dedicated to using its unique platform to build a stronger community by empowering youth, women and families who need financial support, advocacy and service. 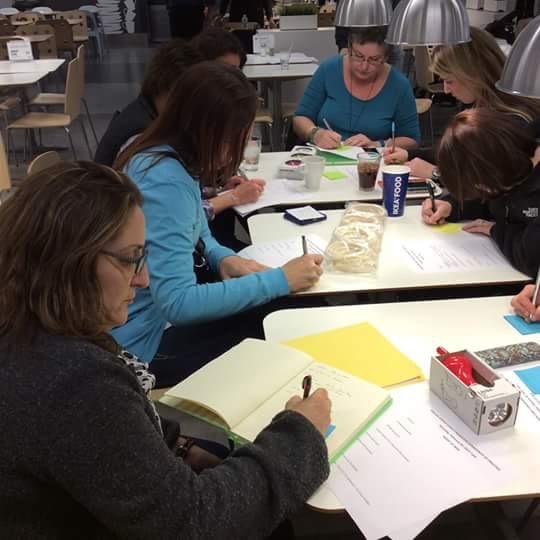 As part of the DISD partnership, the Museum staff offers teacher workshops to ensure educators have an understanding of the history of the Holocaust and human rights. Because many educators have had limited formal Holocaust or human rights training, these workshops can help teachers prepare their students and create appropriate classroom activities to complement their visits. Six local educators attended the iCamp Conference in Las Vegas hosted by iCenter, the leading nonprofit specializing in Israel education in North America. The educators received grants to attend from the Center for Jewish Education (CJE) of the Jewish Federation of Greater Dallas, underwritten through generous support of the Schultz Family Foundation. iCamp is the only conference dedicated to Israel education and assembled 250 educational leaders, practitioners, stakeholders and funders from across North America and Israel for an interactive, dynamic three-day gathering. The conference provided these Dallas educators the opportunity to join a network of colleagues from around the country to inspire new ideas and explore new tools and frameworks on integrating Israel into Jewish learning, and to create a culture of Israel education in our community. “Thanks to the ongoing generosity of Leslie and Howard Schultz and the Schultz Family Foundation, the CJE is blessed to be able to provide our educators with the most cutting-edge tools to teach Israel in our religious and day school classrooms,” said Meyer Denn, executive director of the CJE. 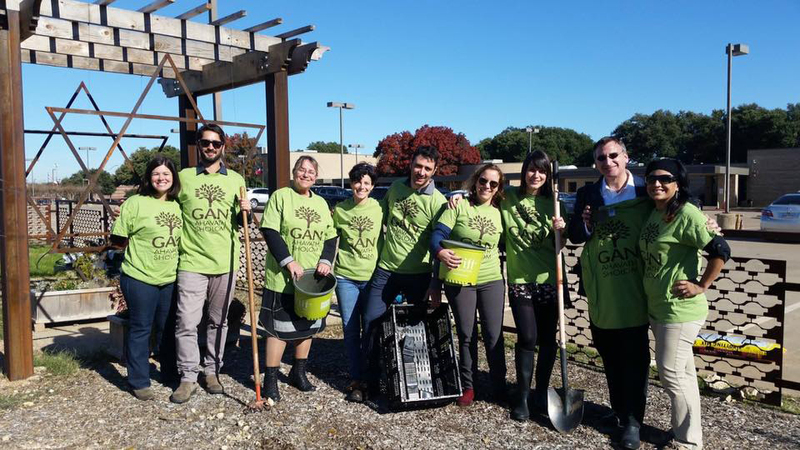 Representing the Dallas Jewish community were Rachael Hunt (Congregation Kol Ami), Steve Kendall (Temple Emanu-El), Sarit Sabo (Akiba Academy), Marcia Sand (Congregation Kol Ami), Peta Silansky (Congregation Kol Ami and CJE) and Annette Wolk (Akiba Academy). The Center for Jewish Education (CJE) serves on behalf of the Jewish Federation of Greater Dallas as the resource to facilitate and convene the Jewish community on issues pertaining to Jewish education, to enrich existing programs, to serve as a catalyst for new initiatives, and to support Jewish education as the critical link in ensuring Jewish continuity and the increased engagement of all members of the Greater Dallas Jewish community. DATA held its 23rd Annual Dinner Dec. 15 at the Renaissance Hotel in Richardson. A diverse crowd of more than 600, representing Jews and non-Jews from all backgrounds, saw DATA pay tribute to several individuals who have taken leadership actions on behalf of the Dallas Jewish Community in multiple Jewish ways. Judy and Shai Robkin, of Atlanta, received the Community Pillars Award. The Robkin family has been supportive of many causes in Israel and Atlanta and over the last decade with the Dallas and Plano communities. Their children, Rabbi Yogi and Shifra Robkin, along with Rabbi Nasanya and Devora Zakon, have been an integral part of the DATA of Plano community for many years, radiating the beauty of Judaism far and wide. Isaac Heller was the recipient of the Young Leadership Award. Isaac, with his engaging smile and warm personality, has helped connect more and more YJP (Young Jewish Professionals). Last year, Isaac took off time from his executive position with the international Sabre Corporation to study for a few months in Israel. The day after the dinner, he returned once again for another two weeks of study. 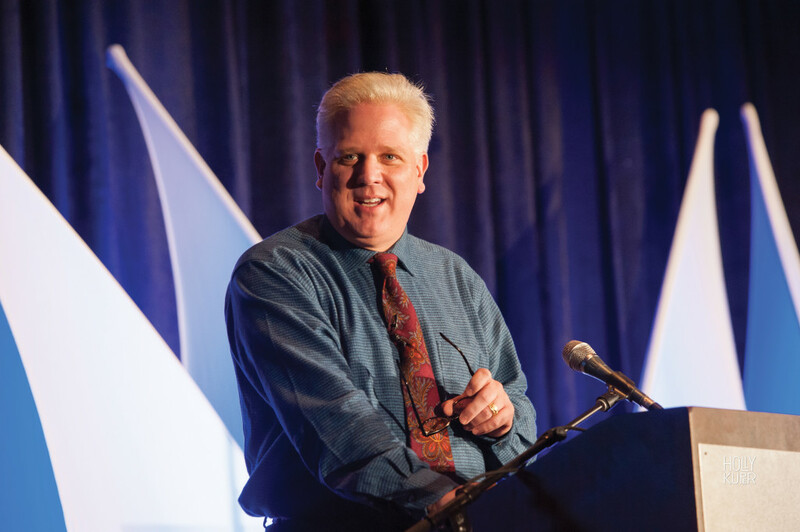 Glenn Beck, the keynote speaker, used his time to make the case for being proactive givers in the world around us. Slideshows and videos throughout the evening highlighted many of the events and learning hosted by the kollel over the course of the year. DALLAS — It would be easy to assume the success of the March 2015 dinner honoring American-Israel Public Affairs Committee President-Elect Lillian Pinkus and featuring former President George W. Bush was the driving force behind the Texas state comptroller’s enthusiasm for investing in Israel bonds. After all, the success of this King David Award Dinner at the Omni Hotel was monumental, helping sell $60 million in bonds for Israel projects, programs and improvements. 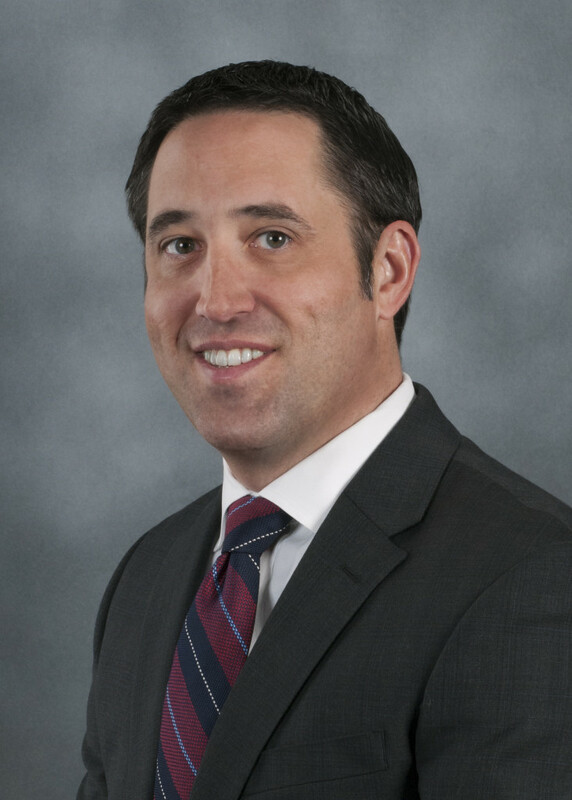 But really, it was the great credit rating — the credit worthiness — of Israel Bonds that won over Glenn Hegar, explained Texas Leadership Cabinet Chair Kenny Goldberg. Pinkus deferred comment on the matter to Goldberg, and George W. Bush’s office could not immediately be reached for comment. In a Dec. 7 news release, Hegar announced fairly prominently that the state of Texas was one of the most recent investors in Israel bonds. Karen Garfield, Southwest Region executive director for Israel Bonds, said the similarities between the Texas and Israel are very important to note when considering the comptroller’s announcement. Hegar said he visited Israel in the summer of 1994 and found it to be a truly amazing experience. He said he plans to go back there with his wife at the next opportunity. Garfield stated that the information in the comptroller’s release came from an interview in the last quarter of 2015 that Israel Bonds conducted with him regarding his decision to invest. Texas brought up its holdings to $50 million, she said. Israel has a dynamic economy and a strong external balance sheet, with annual 3 percent growth expected through 2018, Hegar said. Hegar said since 1951, more than 80 state and municipal public pension funds have invested over $2 billion in Israel bonds. Many states and municipalities such as New York, Ohio, Illinois and others — with the highest level of fiduciary responsibility — have acquired Israel bonds for their portfolios, he said. Garfield said Texas is among the top five states with the most investment in Israel bonds. Goldberg said this helps Texas and Israel cultivate and cement a relationship that could help either party in the future. “We are very grateful to have the State of Texas investing in Israel,” he said. Traditionally, during the days before the New Year, journalists and pundits have a tendency to languish nostalgically on summaries of events and trends of the outgoing year. Who did what, who said what, who married (or divorced) whom, who was successful, who failed, who rose to stardom, who descended into oblivion, whose political fortunes shined and whose were humiliatingly tarnished. Don’t worry — I have no intention of boring you with a walk down memory lane with facts that you already know or can easily look up. Besides, while some good things happened this year, I really don’t feel like dwelling again on the international and political blunders (both Israeli and American!) of 2015. In world affairs, we’re seeing “expert” end-of-year analysis about which of the world’s four “superpowers” — the U.S., Russia, China or Iran — has more worldwide respect, allies and influence. There is good reason that on Rosh Hashanah, the Jewish New Year, we say “Tichleh shana vekileloteha, tachel shana uvirchoteha” (“May a year with its curses end, may a year with its blessings begin”). In Arabic there is a phrase: “Il faht maht” (“What is past is dead”). The “Knife Intifada” will continue, despite Israel’s ongoing upgrading of prevention, “threat-neutralization” and deterrence policies. Recent polls show a growing support for this “national resistance” among Palestinian youth and young adults, mainly in the West Bank, as the result of nonstop incitement and pseudo-religious “justification,” together with daily media glorification of the so-called “martyrs” by prominent Arab and Palestinian leaders from Abu Mazen and his ruling Fatah faction, through Hamas, Islamic Jihad, Hezbollah, ISIS and others. The naive potential terrorists are not only promised all the benefits of “martyrdom,” but also a glorified eternal place of honor in a future pantheon of “national heroes” whose death brought about the “Liberation” of Palestine. Both are very persuasive motivators. While this low-intensity war is not an existential threat to Israel, the “optics” and international public relations will continue to fuel anti-Israel and “one-state” movements worldwide. A new Lebanon war? After the targeted extermination on Dec. 19 of convicted murderer and terrorist, Samir Kuntar, together with other senior Hezbollah militants, Hassan Nasrallah, the organization’s leader, threatened Israel with a painful retaliation. In response, a senior IDF official stated unequivocally that Nasrallah and Hezbollah would be making a big mistake if they perpetrated a lethal terror attack, either in Israel or anywhere in the world, to avenge Kuntar’s elimination. So will a Hezbollah response to Kuntar’s death trigger another Israel-Lebanon war within the next few months? That’s certainly possible and the IDF is more than prepared. However, Western sources claim that several Lebanese political factions are pressuring Nasrallah not to launch a revenge attack, since Israel will retaliate with devastating force against Lebanon. Even Iran, Hezbollah’s patron, is telling Nasrallah to avoid a conflict with Israel right now, since it would cause huge damage to the current efforts to preserve Bashar Assad’s Alawite/Shiite government in Syria, and to Hezbollah and Iran’s influence and infrastructure in Lebanon. Will Hezbollah do something really stupid? The next few days or weeks will tell. According to Israeli sources, ISIS has been planning attacks against Israel for some time. Covert and overt IDF, GSS (Shin Bet) and Mossad operations, both alone and/or in cooperation with the U.S., Russia, Egypt, Jordan, other Arab countries and Turkey, have so far effectively thwarted those plans. There is more in my crystal ball regarding Israel, America and the Middle East in the first half of 2016…but I have to recharge it now. Happy New Year, and “May the Force be with us all” in 2016…we’re going to need it! DALLAS — Alyse Eisenberg once dreamed of creating a “support and collaboration” group from which she and other educators who work at Dallas Jewish early childhood centers could benefit. With the hope of realizing that dream, she applied to the Center for Jewish Education of the Jewish Federation of Greater Dallas for an Incubator Incentive Grant. As a result, Eisenberg was able to start pursuing her goals with great vigor. “My dream — which centered around bringing the Dallas Jewish early childhood community together to support and collaborate — came true.” Eisenberg said. Eisenberg said since then, she and fellow professionals in her group have met regularly to discuss and collaborate many ideas and issues concerning their work in the field. Over the past year, the group has conducted several meetings in person and on Facebook — supporting each other and raising the bar of excellence in Dallas’ Jewish early childhood education community. CJE is on the verge of launching the second cycle of this Incubator Incentive Grant program. It is available to anyone partnered with a 501(c)3 who wishes to impact Jewish education in Dallas, explained Nina Stenzler, director of the JFGD’s Tycher Library. The process begins with the electronic submission of executive project summaries no later than noon on Jan. 29. They can be sent to Stenzler at nstenzler@jfgd.org. Meyer Denn, executive director of the Center for Jewish Education, encouraged people to apply for the grants sooner rather than later. The grants were made possible by proceeds raised that inaugural year at the CJE’s “Night to Celebrate Jewish Education,” honoring local stakeholders in Dallas’ Jewish education landscape. Eisenberg ended up naming her group “Dallas Early Childhood Community of Practice.” Deb Polsky of the Dallas Jewish Historical Society’s “L’Dor VaDor, What’s your story?” effort, also received a grant. Alyse Eisenberg said the grant has helped make her dream a very successful reality. “We’ve strengthened ourselves, each other and even inspired others,” Eisenberg said. Eisenberg said her work as an early childhood professional for over 28 years is what provided her with the actual opportunity to collaborate with many educators from around the country and Israel. Eisenberg said she got the idea for her dream during a return flight from an early childhood conference in Washington, DC. As outlined in CJE paperwork, Dallas Early Childhood Community of Practice organizes and implements collaborative meetings, offers mentoring programs, and expands technology. The group also visits inspirational schools and communities to create innovative ways to engage children, their families and their institutions in new and meaningful experiences. Polsky said the “L’Dor VaDor, What’s your story?” effort works in partnership with the Dallas Jewish Historical Society. This is as convener, in six area day and religious schools, to implement family history projects in one middle or high school class — incorporating genealogical research techniques, learning about Jewish history related to that research, and attending sessions on the history of the Dallas Jewish community. Reaching out to a younger generation and showing them the big picture of the Greater Dallas Jewish community is a priority, Polsky said. Polsky said the participating students have been encouraged to purchase memberships to Ancestry.com so they can explore their family history. “There were 82 families represented the first year,” she said. Winter break — when will it end and the kids go back to school? This is often the cry from parents all over. Yes, we should take this time to spend time with our children — not rushing around entertaining them every minute but time to talk and share. However, no matter how wonderful the time may be, most parents are anxious for their children to return to school. As we wish for this, let us take time to be thankful for teachers and remember that parents are the child’s first teacher. Here are some important messages from our sages about teachers and teaching — talk about these with your family. One who is concerned about the coming generations, teaches young people. Shalom … from the Shabbat Lady.